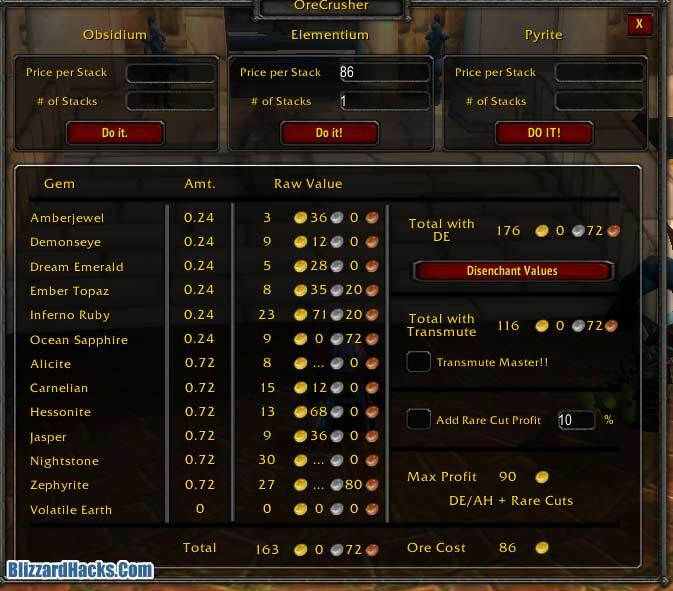 Today I bring you Ore Crusher - the in-game prospecting spreadsheet. Here are the links. Choose Curse OR WoW Inferface download link. Simply scan the Auction House with Auctioneer, and then type "/oc" or "/theoc" or "/orecrusher". You can force GetAuctionBuyout when you have Auctioneer installed by using the toggle command:"/oc altbuyout". Fill in the stack information, and the addon will do the rest. 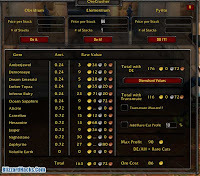 NOTE: Pulls prices from Auctioneer or AuctionLite/Auctionator/AuctionMaster. I'll show my buddy this, he plays this game religiously. Sames, I know a friend who blows his load for this game daily. I hate this blog, it really makes me want to play it all over again, lol. These spreadsheets are really helpful. Followed. I need more followers for my WoW blog. It's insane the amount of stuff they make for WoW. I had no idea. I don't play WoW, but I bet it's a useful tool! Great tool, will show it to my friends. Thanks.